Wine connoisseurs speak of sweetness, acidity, tannin, fruit and body when describing wines. But the perfect wine-tasting experience shares another characteristic: a great view. A few minutes of sitting with a glass of wine, the sun warm on your face, a gentle breeze in your hair and a whole valley before your eyes. Here’s the wine tour we’d propose in our quest to pair the perfect wine with a glorious vista—a little something we call the Wine with a View Tour. Begin your odyssey at the Gray Monk Estate Winery in Lake Country, just north of Kelowna. A pleasant drive will take you from Hwy. 97 to Lake Country, located on the east shore of Okanagan Lake. Gray Monk bottles a wide selection of whites, reds, sparkling and ports. Tastings are available daily with up to four wines offered. 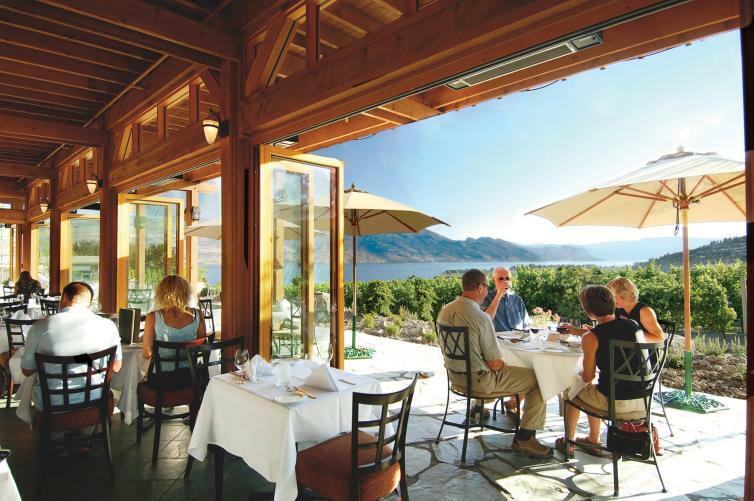 Just east of Kelowna, along Lakeshore Drive, you’ll find the CedarCreek Estate Winery. 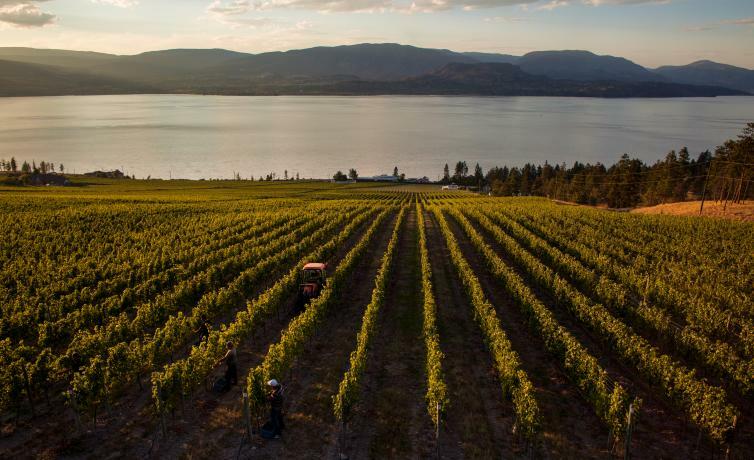 Situated on a hillside overlooking Okanagan Lake, the view of the lush vineyard and the lake is complemented by the winery’s immaculate grounds and beautiful gardens. The tasting bar is open daily, offering wine tastings. Crossing over the William R. Bennett bridge into West Kelowna will take you to Quail’s Gate Winery, located on Boucherie Road on the east side of Okanagan Lake. The wine shop, home to the Winery’s tasting bar and gift boutique, is the centrepiece of the estate which also features a restaurant and even accommodations. 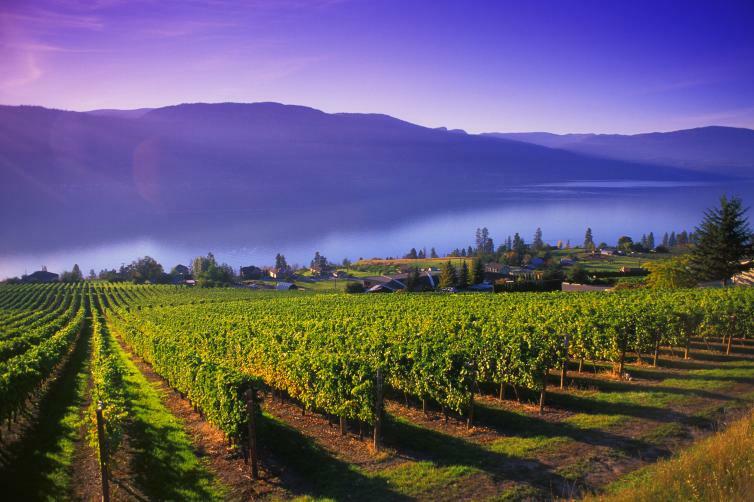 Here you can enjoy a glass of wine and a stunning view of Okanagan Lake and the vineyards. Be sure to step into the vineyard and wander down towards the water. 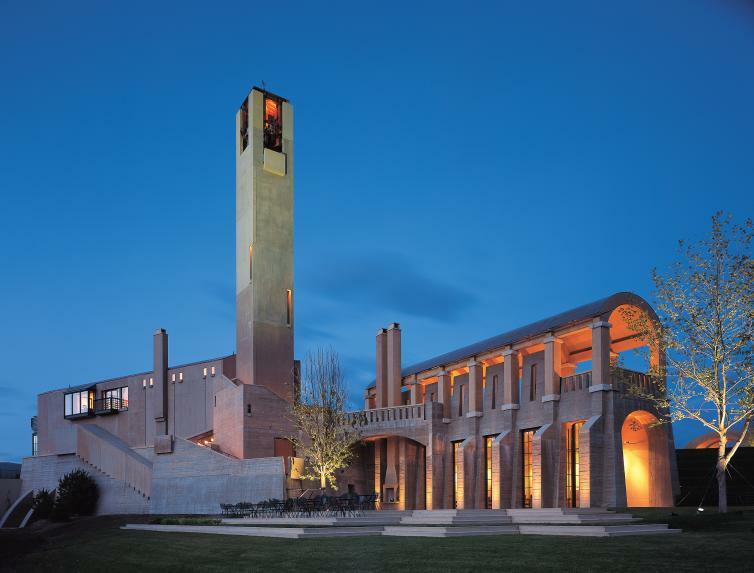 Wrap up the wine tour with one of the Okanagan’s most architecturally impressive wineries Mission Hill Family Estate. Located atop the hill from which it takes its name, Mission Hill is a monument to estate wineries and a valley landmark. A 12-storey bell tower is the winery’s most striking feature but the rest of the grounds aren’t too shabby either. Tastings take place inside the Mission Hill Shop, where you’ll find a wide selection of wines, epicurean delights and culinary wares. Along the way: No doubt there’s a bit of travel involved in our Wine With a View Tour. If you have the time, you might also want to visit the 50th Parallel Estate Winery and Arrowleaf Cellars in Lake Country and Summerhill Pyramid Winery ans St. Hubertus & Oak Bay Estate Winery in Kelowna as well as several others along the way. 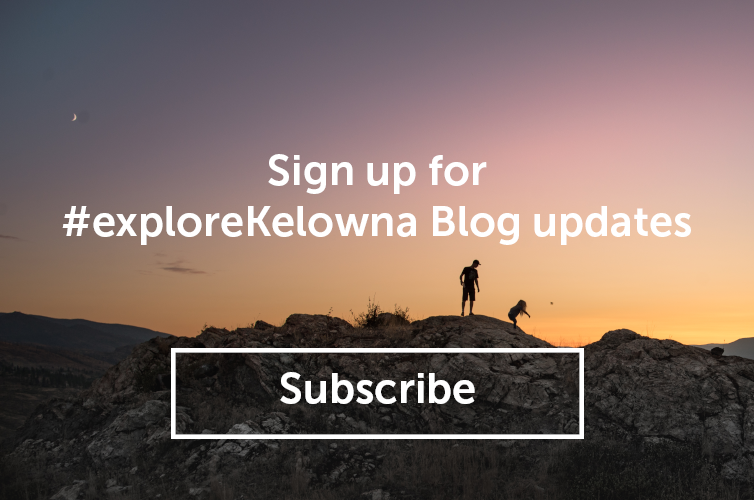 Article originally published on Kelowna is Awesome.